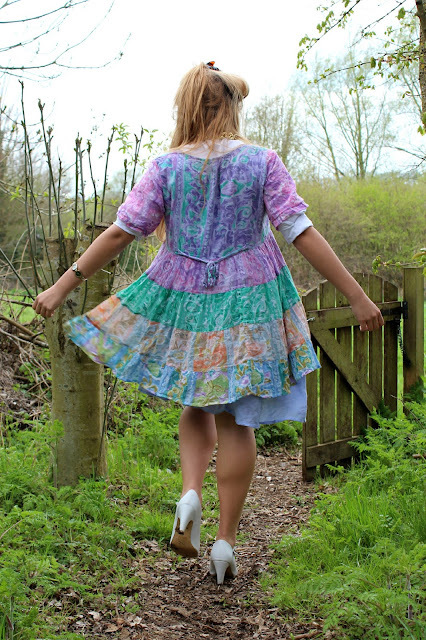 Today, I feel like Alice In Wonderland..... more like Pastel-land with my toddler-like dress! 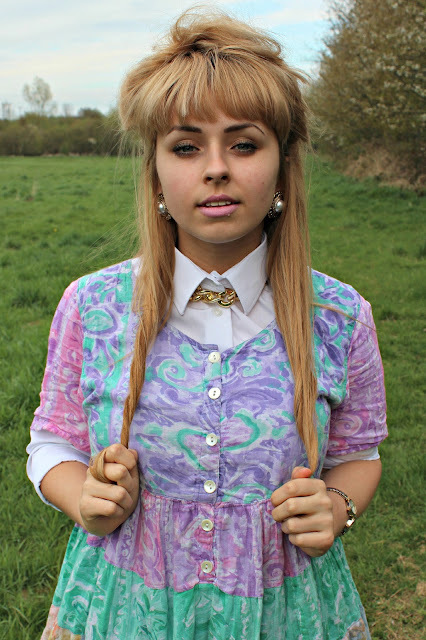 This is one of my fav babydoll dresses at the moment, teamed with an old school shirt underneath! & chunky Pat Butcher style jewelry just how I like it! I do feel like a small child in this outfit though... 19 going on 5? years & years now and have never worn them out! This dress is a Urban Renewal dress in Urban Outfitters, there was only one of them so I couldn't let it go without being mine! Check out their current renewal dresses, so many cute ones! Would love to know what you think of this outfit! Been getting a few more comments lately really appreciate it! I'm off to bingo in a bit, praying for some money to put towards Ayia Napa! super happy i came across your blog :) new follower! You look great and you do look very Alice in wonderland inspired. Love this outfit, I think Pat Butcher was onto something!